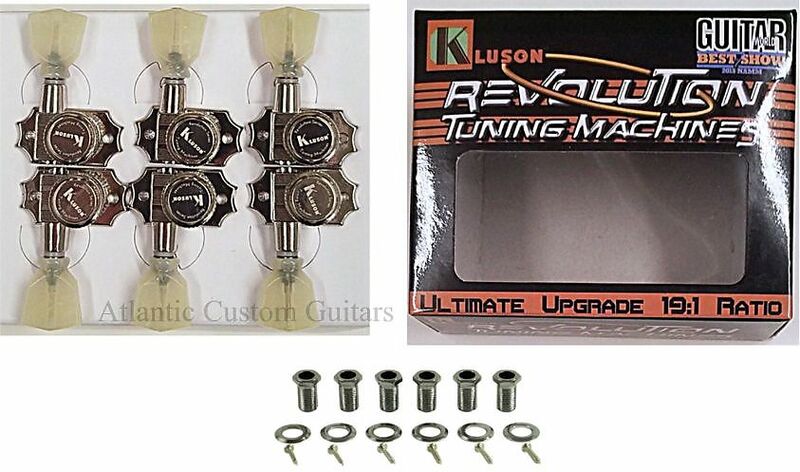 Kluson 19:1 Revolution Gibson mount Locking tuners with Pearloid Keystone buttons. 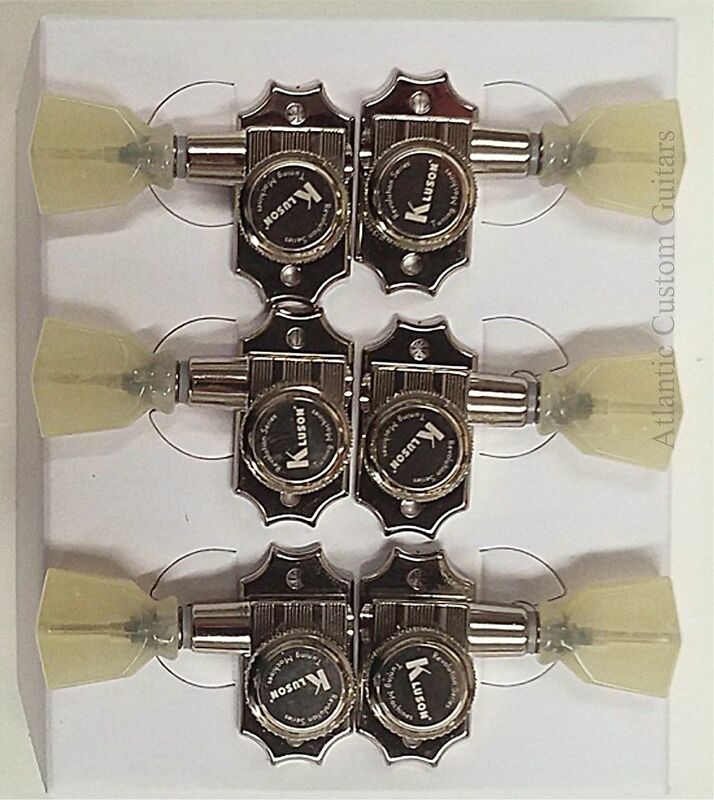 I sell these tuners in 2 versions. The ones you are looking at fit modern Gibsons with a 10mm peg head hole and they mount using a Hexagonal threaded bushing. The other version fit Vintage Gibsons with an 8.8 mm hole and they mount with the smaller round press in bushing. In the past, I have had customers purchase the wrong ones. 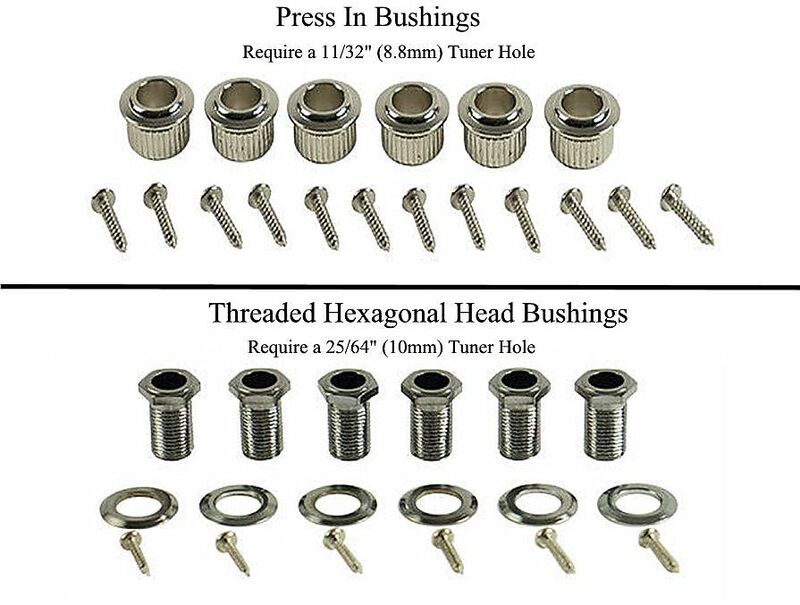 I have included a picture of both types of bushings. Can you please check the 3rd picture and confirm that you need the hexagonal threaded bushing before you purchase. Drop-in upgrade for Gibson style 2 hole mount 25/64" or 10mm modern peghead hole. These Tuners use a threaded hexagonal head bushing. All International shipping quotes include insurance.